Feather Hair Pieces! 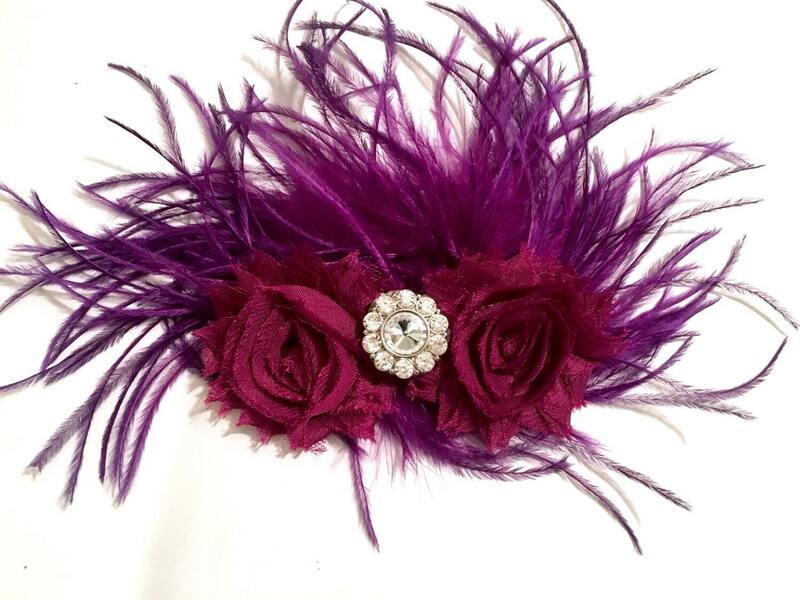 Burgundy and Purple Shabby Hair Flower Feather Fascinator. Bridal Hair Pieces,Dance Costume Hair Pieces. Available Pink, Hot Pink, White, Ivory, Black, Red, Lavender, Glitter Shabby.